As one watches the unfolding of the Cyril Ramaphosa presidency one sees the care taken in preparing almost every gesture and presentation that Ramaphosa has made. This may be characterised as “show”, for example walkabouts, but these have simultaneously borne a message of a presidency and government that aims to be closer to the people. The State of the Nation address (SONA) was very impressively prepared and presented and showed considerable awareness of the concerns of people from a range of sectors and spoke to the longing that South Africans have for some sense of certainty and predictability in their lives. The areas on which Ramaphosa chose to focus were key features that need attention, in order to put the dark Jacob Zuma years behind us. In the weeks after his election to the ANC presidency, before becoming state president one had the sense that Ramaphosa was already in the presidency (as opposed to his relatively minor role when Deputy President). Some steps were taken by law enforcement agencies which were unlikely to have happened during the Zuma period. This has continued with the clampdown on Gupta businesses and the warrants for arrest of two Gupta brothers, the charging of some associates and the probability of further cases. At the same time, there are continued police lapses, as with the Gupta brothers and Duduzane Zuma apparently being allowed to leave the country. Whatever Ramaphosa may intend to do and see happen is markedly constrained by the burden of debt that was accumulated during the Zuma era, partly through wrongdoing but also partly by cavalier treatment of the fiscus, notably in what was to be one of his parting shots, Zuma’s announcement of free higher education for substantial numbers. Over three years this is projected to cost R 57 billion- more than the already huge national debt. That debt has increased from 31,1% of GDP in 2009 to an expected 52,1% in this financial year. The debt was further increased by the underperforming of SARS, with a shortfall of R 48,2 billion. Under the leadership of Tom Moyane, SARS has lost key individuals allegedly part of a “rogue unit”, now shown to be fictitious. Other experienced employees were also forced out. “In late 2017 SARS was forced to admit to Parliament”, writes Pauli van Wyk, “that the service has lost 506 employees since the start of 2017, a figure culminating in a cumulative 7,479 years of experience.” That purge can now be seen to be a proxy for some of the battles to open the fiscus as part of “state capture.” At the same time, individuals like Moyane’s deputy, Jonas Makwakwa, who was alleged to have made numerous suspicious deposits, was cleared in a very flawed disciplinary hearing. (https://www.dailymaverick.co.za/article/2018-02-22-budget-2018-r48bn-revenue-shortfall-piles-pressure-on-beleaguered-tax-boss-tom-moyane/#.WpJ03maQ3Jw). There is now a widespread culture of stealing in government. Patronage preceded the onset of Zuma’s presidency, and does not always amount to illegality, rather than preference given to those whose support one needs. But patronage and corruption often converge. Addressing these patterns of behaviour or practices is not easy. This is not like reallocating a budget but changing cultural patterns that are now deeply embedded in a range of institutions -in government and also the private sector. It is found in national government, where the ANC is the ruling party. But it is not only the ANC but there is also increasing evidence in DA -run councils, now part of the accusations flying in intra-DA battles related to the future of Patricia de Lille, as Mayor of Cape Town. It is also very much part of party political functioning, especially but not exclusively documented in the case of the ANC, that people expect to be rewarded, if necessary illegally, for their support. This is the environment within which Ramaphosa starts his presidency and it is daunting. If he has the desire and capacity to change this, how will such action impact on his support base? Is he willing to take the risk of losing an already ambiguous level of support within the ANC? Many institutions and state departments that are crucial for delivering a “better life to all” are themselves crippled and casualties of the wholesale looting that characterised the corruption of the Zuma period as well as the more systemic form of corruption entailed in state capture. These resources needed for a range of projects and for economic growth and development, have diminished substantially. The first budget, one week after Ramaphosa’s becoming president has been one bearing the imprint of the pillage of resources from the Zuma period. Regrettably, the high levels of debt in which South Africa finds itself has led rating agencies to have an inordinate influence on what is said to comprise desirable state spending and taxation. That increased vat instead of corporate taxes was chosen to address the debt, sent a signal that makes sense to “the markets” and rating agencies but has a different type of meaning to those living in squalor and without jobs. (See the reaction of Fitch: http://ewn.co.za/2018/02/24/fitch-sa-economy-on-the-mend-but-rot-in-soes-a-concern, voicing enthusiasm for the increase in vat, as a partial reversal of recent “fiscal deterioration.”). That some items are zero rated does not impair the marked negative effect of a vat increase on the poor, who do not only consider zero rated goods part of their needs. 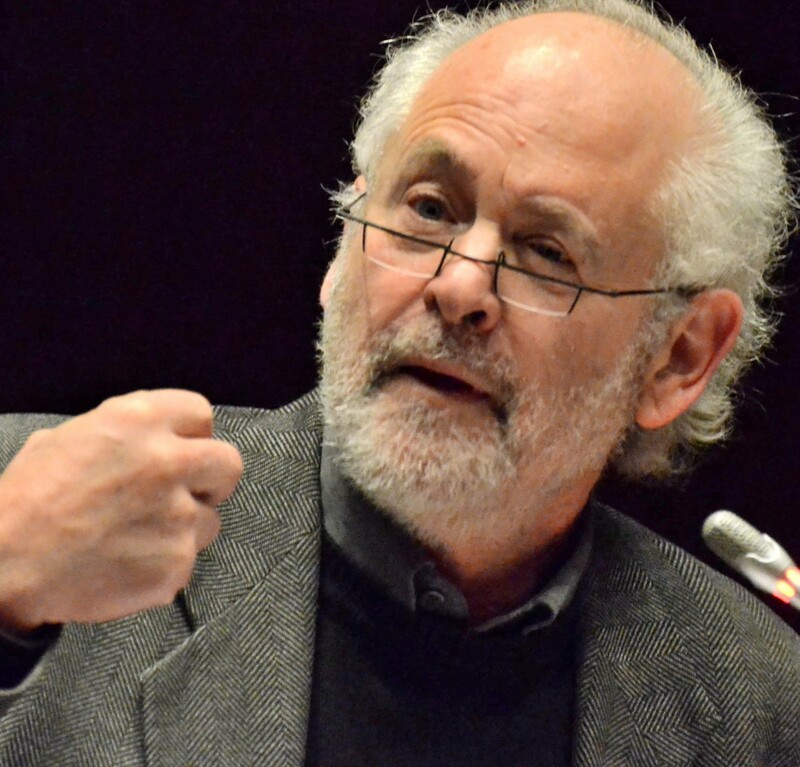 Thoko Madonko and Gilad Isaacs argue that corporate and wealth taxes and other elements of the income of the wealthy could have been a better target, without further burdening the poor: https://mg.co.za/article/2018-02-23-00-no-minister-increasing-vat-was-avoidable). The budget also cuts back over R 85 billion in government spending. This is not simply trimming off fat. It will have a negative impact on local government, community development in general, affecting low cost housing, school buildings and other infrastructure, transport services and maintenance of provincial roads. (https://www.businesslive.co.za/bd/economy/2018-02-21-the-winners-and-losers-in-gigabas-budget/ and https://www.businesslive.co.za/fm/special-reports/2018-02-23-provinces-less-for-services/). The ongoing KZN killings, in which the police and ANC politicians are alleged to be accomplices, does not seem to have created any sense of a need to explain and answer satisfactorily to the Moerane Commission, on the part of the police. Posted on March 16, 2018 by raymondsuttner. This entry was posted in Uncategorized. Bookmark the permalink.